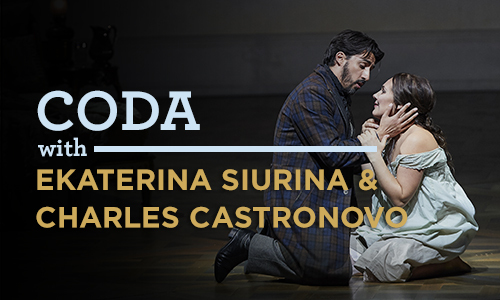 It's clear that Violetta and Alfredo are very much in love in our current production of La Traviata, but did you know that for singers Ekaterina Siurina and Charles Castronovo this love extends beyond the stage? We caught up with the married duo to find out more about the pair behind the performance. Check out our Q&A with them below, and don't miss seeing La Traviata before it's gone on November 6, 2015! La Traviata is a hit! A fresh take on Verdi's timeless classic La Traviata opened at the Four Seasons Centre to thunderous applause and praise from both critics and patrons alike. Take a look at the beauty and tragedy that has made our current production so enchanting through the reviews and social media posts gathered in our latest Storify! The gowns, the romance, the tragedy! La Traviata is an opera filled with the passion and pathos opera is known for, but did you know that it stands for so much more? 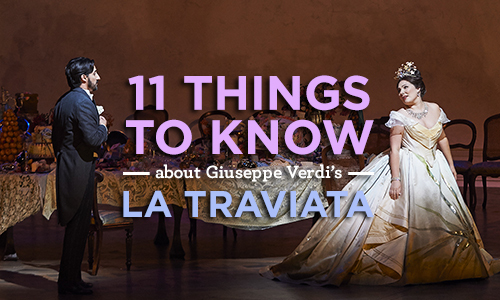 Check out our top 11 things you need to know about Verdi's romantic epic, La Traviata, and get your tickets before it's too late!